One of the biggest challenges for startups and small businesses is that many have blank credit files.While it may be true that there's nothing negative in there, there very well may be nothing positive, either. It's just blank -- and that's a problem because an empty credit file is just as bad as having a bad credit file, according Erik Simon, director of marketing and communications for Dun & Bradstreet Credibility Corp, a business-credit monitoring service provider. "A blank credit file is to a bank like a blank resume would be to an employer," he says. The reason is so many different entities -- from lenders to insurance companies to vendors -- use that business-credit information to make decisions that can make or break a startup or even an established company. Just like your personal credit, a good credit rating can open the door for a business to borrow money, secure credit, get better payment terms or even obtain a contract. So how do you go about establishing business credit? Simply pay your bills on time and start documenting examples of good payment history. That way, you'll help your company boost its business credit scores. While that sounds easy enough, not every credit bureau will let you self-report your good payment history. Dun & Bradstreet Credibility Corp offers one of the only products on the market that enables a startup- or small-business owner to proactively build and manage a commercial credit file, which in turn impacts a company's popular and oft-cited D&B Business Credit Score. By contrast, Experian does not allow companies to establish their own credit profile. Instead, the credit bureau uses third-party verified and contributed information, according to Adam Fingersh, senior vice president of marketing and product management at Experian. He adds that the reason for using third-party data is to "maintain impartiality." Equifax does allow self-reporting but its minimum requirements for doing so are quite lofty and likely out of reach for most startups and entrepreneurial efforts. For example, Equifax requires that companies within the financial services industry have a minimum of 500 business vendors to report to on a monthly basis. Companies within other industries (non-financial services) must have a minimum of 2,000 vendors to report on a monthly basis. 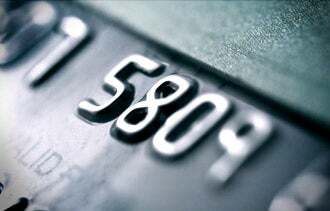 How have you benefited from keeping track of your business credit score? Let us know in the comments section.